There are so many scenarios to consider. You have your server system – do this with MDriven Turnkey. Pages that attract MANY users you create as MVC – pages that require desktop feel you do with AngularJS – or even WPF– no need to go cheap – you can do it all – its just a setting per form. Then you also want user to get information and supply data on the go – use Cordova to display some or all of your server system in a specific app – and with the abilities of html5 – to access position etc. – you may not even need an app for this. When all that is done you are left with the users that work offline… GodDamnOfflineUsers – do they exist? 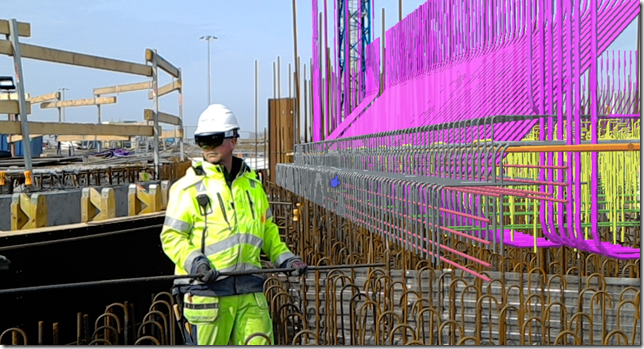 Yes – the ones we see now work with a Hololens doing reinforce bars planning and production on ESS in Lund. Standing so close or in the middle of these steel bars effectively shields you from all radio – wifi or WCDMA. And even if we could get radio in there – they would soon be in tunnels and under ground construction sites or in special buildings designed to shield radio (hospital X-ray rooms). 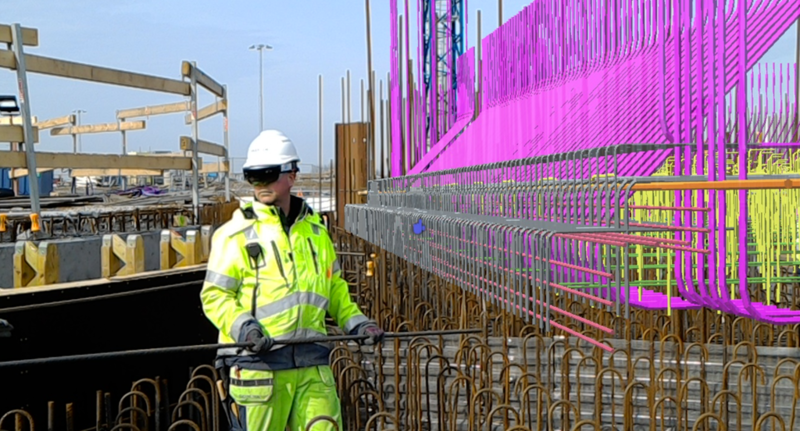 Picture is shown courtesy of http://informationexperience.se – look them up for augmented reality today. There are offline users. Bite the bullet. In this video I take the Default Xamarin Forms template app and make it run with MDriven. I remove a lot of manual written code and make the data persistent on the device. In future sessions – if there is interest – we can build on this and sync locally changed data to a Turnkey server using rest api’s. We can also – again – if there is interest – we can add a Barcode scanner to the app and maybe have that look up data on the server if we are online – or just cache it if we do not have internet access.